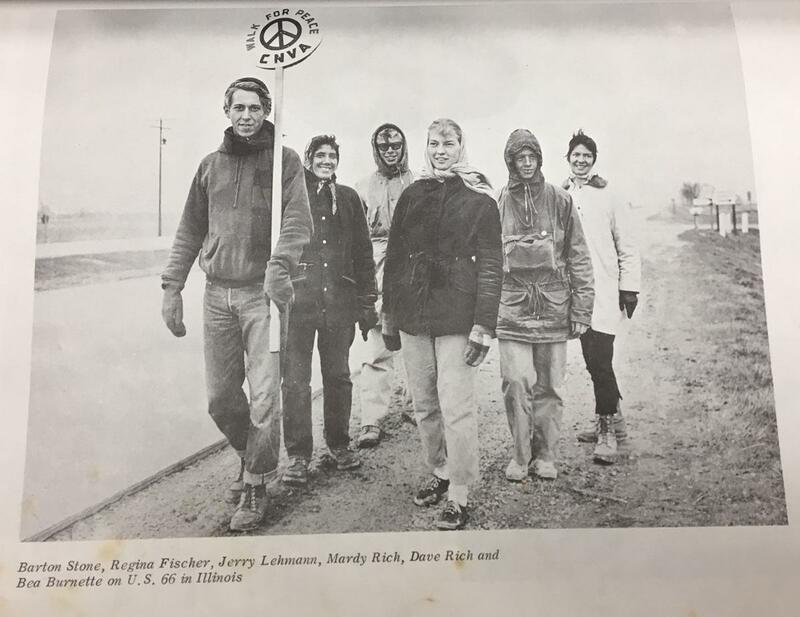 In 1960 Suzanne Rich Osborn joined a group walking from San Francisco to Moscow organized by the Committee for Nonviolent Action. The purpose of the walk was to promote a world without war, pursuing the idea that every country disarm unilaterally and not wait for a joint agreement. “We were talking about making a unilateral peace and for each government to stop militarism.” The small group of people walked across the United States to New York, caught a flight to London, wound up on a boat to Belgium, and walked from there to Moscow (with a free bus ride from East Germany to Poland since the East German Government seemed embarrassed by them). They were treated quite well in Russia. They passed out thousands and thousands of leaflets along their travels, and picketed at military bases they passed by. Also see the article in the News-Miner. Potluck at 6:00, Program and discussion begins at 7:00. Sponsored by the Alaska Peace Center and the Unitarian Universalist Fellowship of Fairbanks, 4448 Pikes Landing Road, across from the Princess Hotel.